This print depicts a scene from the nō play 'Sotōba Komachi' ('Gravemarker Komachi'). 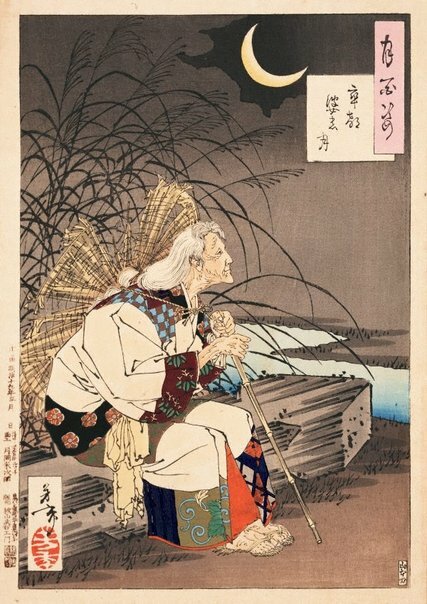 The play is one of a set of seven important nō pieces based on the life of Ono no Komachi, a famous beauty and poetess of the ninth century. Here, she sits in a thoughtful, melancholic remembrance of her life on a fallen gravemarker, having been criticised for her disrespect for the dead by two passing priests.